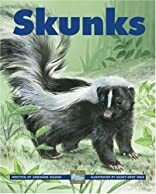 The stinky way skunks defend themselves is just one of 14 topics in this clearly written book. 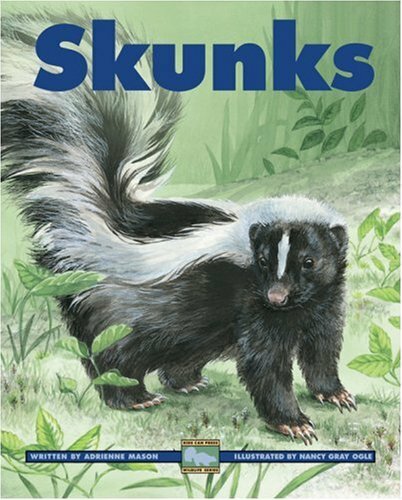 Kids find out why skunks are black and white, where they live, how they raise their young, how they hunt and much more. The easy-to-read text and accurate, detailed illustrations of the Kids Can Press Wildlife Series provide a perfect learning resource for young children and satisfy their curiosity about these often misunderstood animals. Did you know? *As a final warning, a spotted skunk will stand on its front paws before spraying. *Some skunks will eat snakes -- even poisonous ones! *Newborn skunks, or kits, are so small that you could fit two in the palm of your hand. *Skunks help people by eating animals that can be pests, such as rats and mice.